There is nothing like thinking you’ve had a heart attack to jump start your diet plans! A few Mondays ago, I started having chest pains….like a squeezing around my entire chest, pain in my shoulders and pain in my jaw. If you didn’t know, these sound very much like symptoms of heart attack in a woman. ACK!!!! I was home by myself with the kids so I called 911. I had to stare into Ellie’s sweet little face and tell her that the ambulance would be here soon and that I thought I was having a heart attack. I NEVER want to have that conversation with her again….. The ambulance, police and firetruck all arrived and everything checked out fine. The next day I went to see a general practitioner and he was equally concerned. He sent me for an echocardiogram the next day, suspecting it might in fact be Mitral Valve Prolapse. Nope…..my heart looks great and no MVP. Then, in the same week, I woke up in the middle of the night having the exact same symptoms. The next morning I went into the doctor and they did bloodwork to check for the enzymes that would indicate a heart attack. None present! Praise the Lord! But my cholesterol was higher than he wanted. Soooooooo, he sends me to a cardiologist in Birmingham. The cardiologist says that out of the five factors that would put me at risk for a heart attack, I only have ONE (cholesterol)…good news. Cholesterol I can work on. Came back for a stress echocardiogram with the cardiologist….still no results back, expect them any day. But do you know what he suspects it is………………..? He says the same nerve that is involved in esophageal spasms is the same one triggered during a heart attack. WHAT!?!??! Crazy! Before you ask…..I do not have acid reflux or heartburn…no symptoms of that nature. He says they do not have to be present to be having the spasms. Lord in heaven, it felt like a heart attack…I’ll take spasms of my esophagus any day! And not so surprisingly I found several testimonies online about people using essential oils to help with them! AWESOME!!!! Fingers are crossed that the diagnosis is ES! So, having the life nearly scared out of me made me really want to get serious about losing weight and eating healthier…. When I began to search online and ask for suggestions, I was overwhelmed!!! Everyone has a different opinion and I had no idea where to start. Ugghhhhh….. This s why celebrities are able to lose weight and stay fit. They have someone that makes all the decisions for them….cooks for them…tells them what to eat, etc. But since I’m no celebrity I knew I had to figure it out on my own. My doctor said if I lost weight (even if I did it eating cant bars…he was joking of course) that I would see an improvement in my cholesterol. Well alrighty then! Off we go! I knew that I could not handle some intense complicated “diet”. So the first week, I just cut out sweet tea. I even asked Bryan to go without so I would not be tempted by a pitcher of it in the fridge. God bless him. I did eat a little better and I snacked WAY less after taking a natural supplement sent to me by a friend. The next Monday I weighed in at 219. Woohooo!!! Any loss is fabulous in my book! 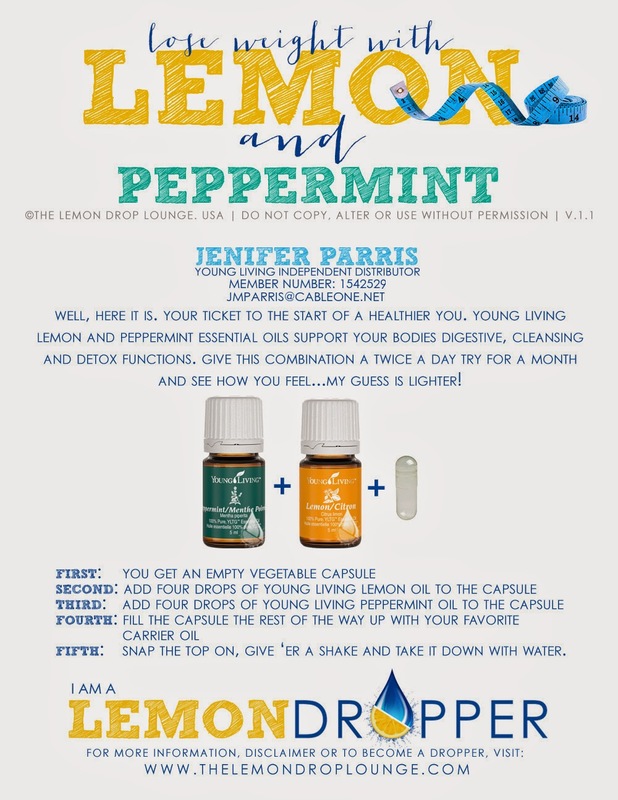 Take my lemon and peppermint (you can add grapefruit too) daily. I really like the lemon oil in water. 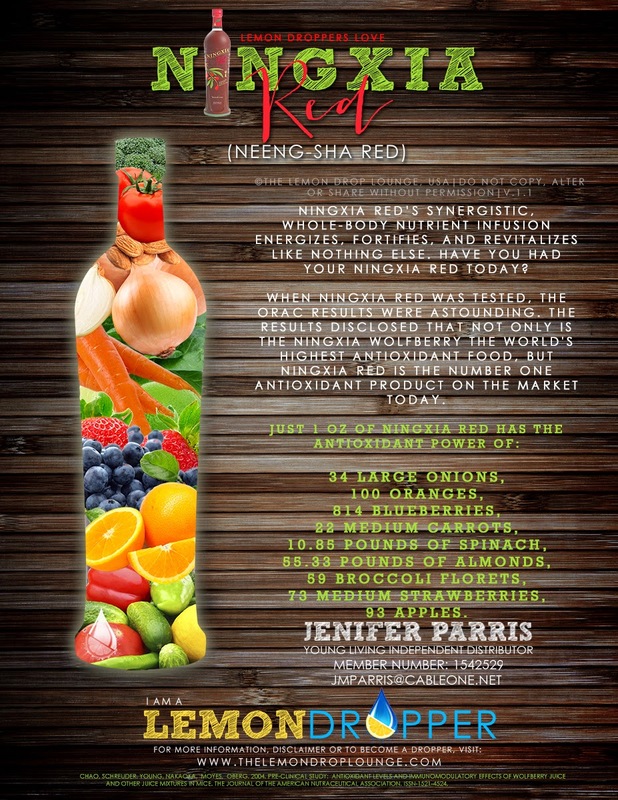 Continue taking my NingXia Red each day…check out what all is in this bottle of awesomeness!!!! Continue taking my Plexus Slim that a friend shared with me. I really like the energy it gave me as well as helping me snack less! BONUS! I really like the Trim Healthy Mama but felt so overwhelmed with the HUGE book! I also like aspects of the Paleo diet but good gracious, I love me some dairy products! I know I could not be strict about that diet….though I have run across some really yummy recipes! So, in a nutshell, I am trying my best to cut out processed food, cut way back on my chocolate/sweets consumption…trying to eat more dark chocolate instead….focusing on drinking lots of water…not sweet tea, I am all or nothing with sweet tea……and giving Trim Healthy Mama a go again. I ran across this meal planning website called Build A Menu that has menu options for Trim Healthy Mama! You can try it for $8 for one month or I found a coupon for an entire year for only $35 (MAY35)…great deal! Here’s a video about how to use it! This is so cool!!!! Ok, if you’ve made it this far in this post I wish I had a prize for you!!! You are a trooper! For those of you that mentioned that you would be happy to hop in and take the journey with me…let me know what you are doing! I would love to encourage you!! Thanks for all of you that have been praying for me. Hoping to have some answers soon and be on the way to a healthier me! Next Are You Living in CHAOS?